I bought it from a forum member in Feb 2015 at 125k miles and it now sits at 150.5k miles. Daily driver for about 3.5yrs. Q2 Diff, Alfaholics downpipes, Supersprint backbox, Dyno remapped to 250bhp, Aero pack, factory fitted sunroof, 17" teledials, black leather interior(no tears), professionally fitted xenon headlights(imo must on this car), all keys including brown, valet key and alarm deactivation fob, underbody waxoyled, Autolusso oil cooler, kenwood bluetooth audio, spare wheel, new tyres. Comes with stacks of receipts. 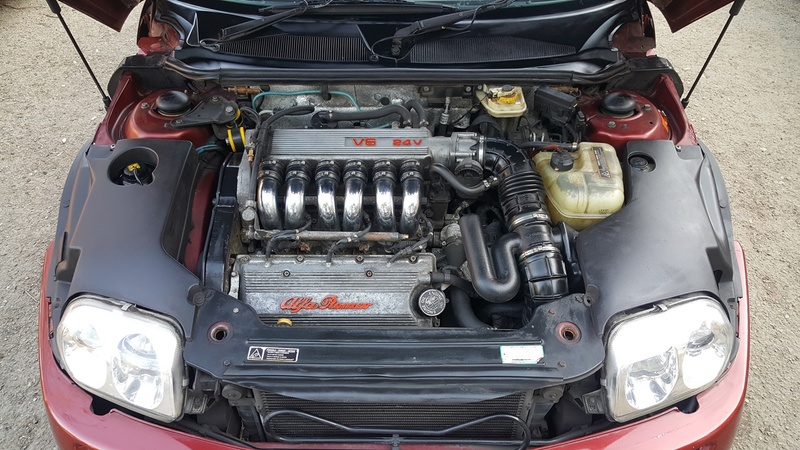 Predominantly serviced at Alfa specialists. Next MOT due in Feb 2020. 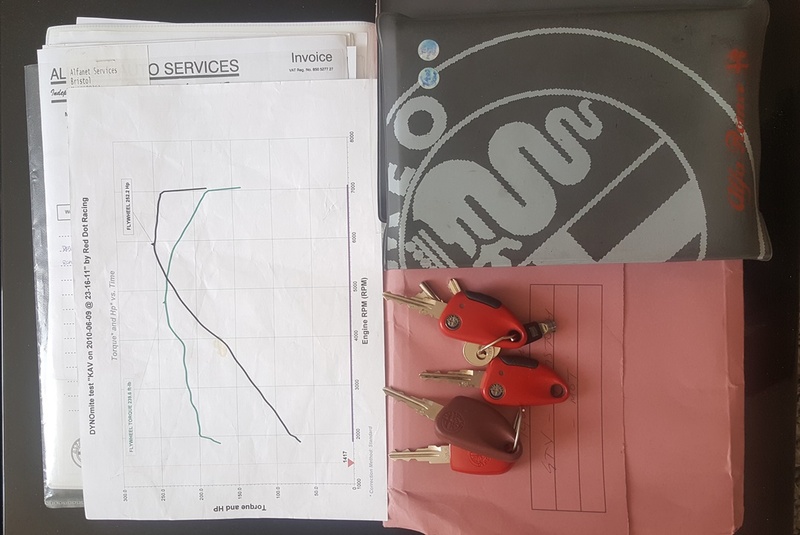 Clutch replaced in Feb 2017( done less than 12k miles on it), Cambelt done in Dec 2014, 2018 MOT involved replacing front lower control arms and complete rear brake refurb, 2019 MOT involved new tyres and lambda sensor. During my ownership the car has been extremely reliable. No warning lights on dash, starts first time even in winter. For a 19 yr old car, the bodywork is in good shape. As expected from daily driving, there are stonechips on the front bumper which can be seen in the photos. AC pipe had a leak when I got it, but I never felt the need for it with the sound of that V6 and a sunroof. 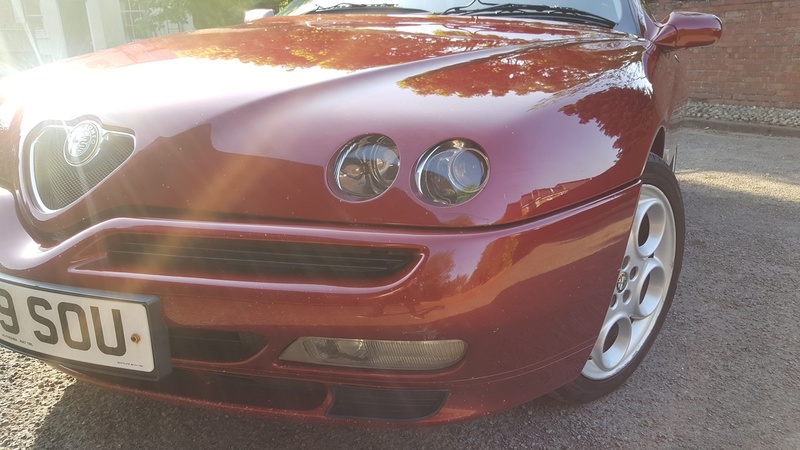 Took me months of searching to find a good example and I dont think any future owner will be dissapointed. Last edited by sakzzz; 2 Days Ago at 18:21. I'd say the mileage is against it but everything else is a plus particularly the Q2. 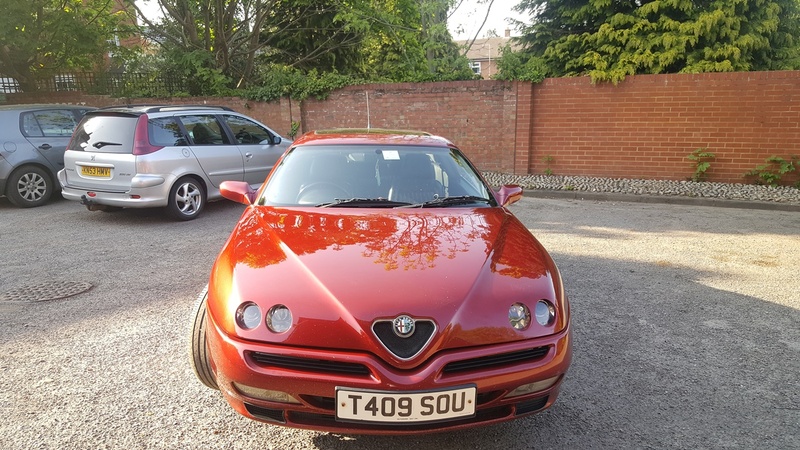 If the condition is as good as it looks (love the colour BTW) I'd start at £5k and see who bites. Status: ALL cars getting TLC! How can an owner not be aware of market trends and awareness of prices? I have been looking at autotrader and pistonheads to monitor price trends, however, mine has higher mileage with Q2 vs some of the other cars up for sale being the other way around. Hence wanted feedback from the forum. 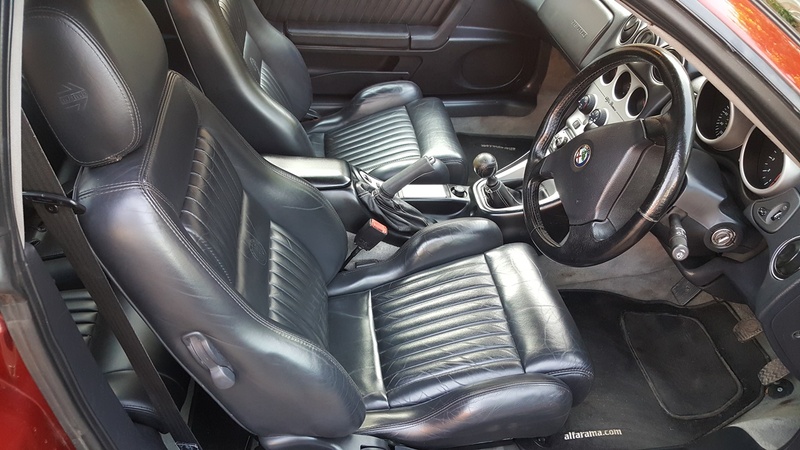 Only issue apart from the high mileage is that belts were last changed in 2014, so they are due again now. That's an expensive job that may put some people off. A full cambelt change with water pump will attract more interest. 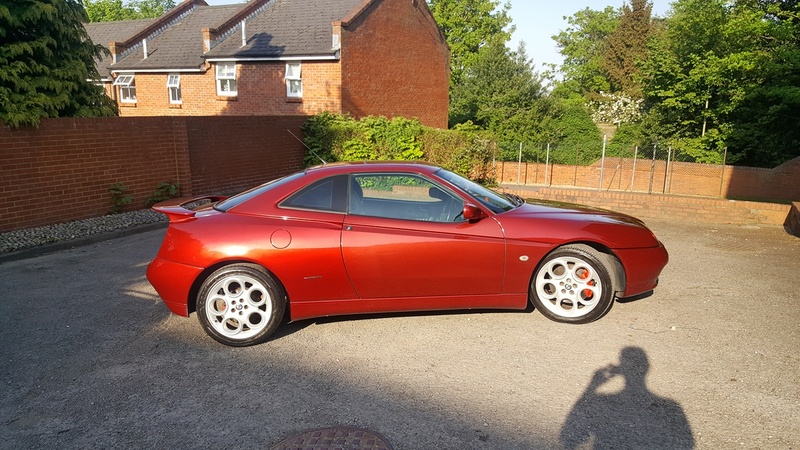 I have personally done a purchase, a sale and another purchase of 3.0 V6 GTV in the last three months and the prices have been below the £3000 mark. Both in good condition with extensive service history, but needing belts. The one I sold had 6242 views, 143 followers and about a dozen people asking for more information, best price etc., however only one person turned up ready to view and buy it after four weeks of advertising on eBay. Last edited by FreddieL; 11-03-19 at 10:19. That sounds too cheap given the spec.....I paid £3700 for my grey one, similar age, lower miles but no Q2 and I thought I got a bargain. 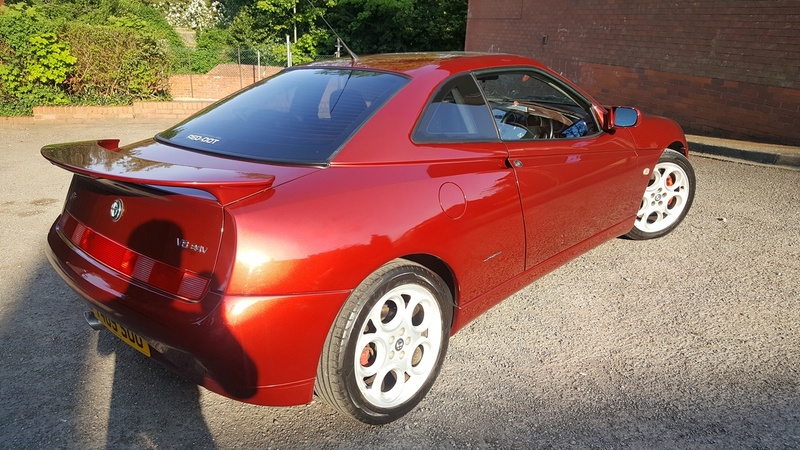 Still looks stunning, miss the gtv shape, grad you have enjoyed it. Thought it was 99 reg ? Yep..Sorry I made a typo. If I had a garage to store the car in.. I would wait till I found the right buyer.. However, staying in an apartment block means parking is very limited. Also, I have enjoyed driving the car... but its time to move on and let someone else enjoy it. Would be sad to see it go though, I always turn around and have a look at the amazing shape of the car whenever I park it.. I think most Alfa owners do.